Throughout my life, routine daily activities have been accompanied by the music of my mother’s singing and humming. Sometimes her humming was under her breath and sometimes she would be singing a song in her clear and beautiful soprano voice. There are many songs I know simply because Mom has sung them throughout my life. Du, du Liecht Mir Mit Zin. Da daa, d da da, d daa. I don’t think Mom ever sang the end of that song. It always devolved into da, da, da. Some of the songs I know because Mom introduced them to us in other ways. The Swingle Singers was a group that Mom was crazy about when we were growing up. She had a number of their albums and often played them, but her favorite song of theirs was “Bach’s Prelude Chorale.” When she was particularly happy, she would often hum the Prelude Chorale. Doobie doobie doobie doobie doobie do DOO. And then there were the old standards from the Gilbert and Sullivan musicals from the days when Mom was in the orchestra pit. 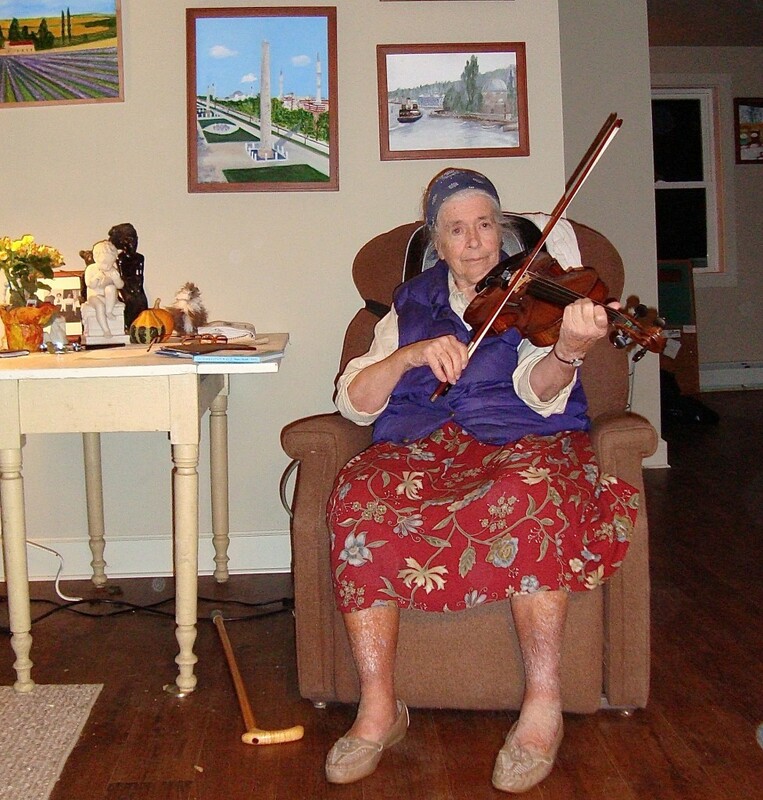 She played the viola, and wherever we lived, Mom was a member of the local orchestra or played in string quartets with other musicians she met through the orchestra. I used to spend hours after school in the empty auditoriums listening to the cast rehearse. Arthur Whitman takes a sip. Dad got the flu this winter. Funny thing was, it didn’t look like the flu. I thought he was just more tired than usual, or that maybe he had the mid-winter blues. What I discovered, though, is that the flu looks and acts differently in older folks than it does in the rest of us. Dad showed none of the symptoms that we normally associate with influenza, at least not until AFTER he was admitted to the hospital. 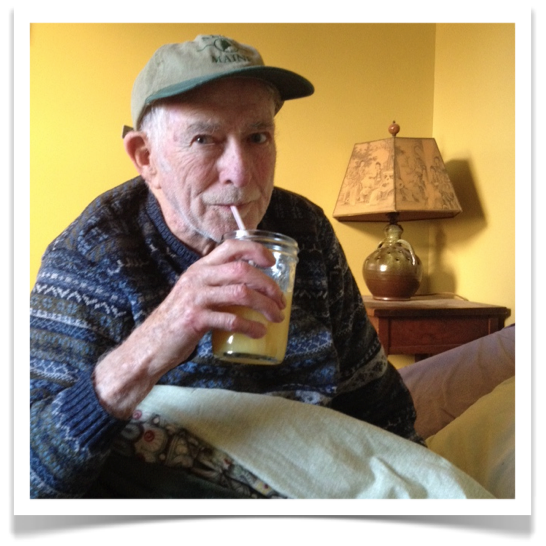 Here is what his flu looked like: For three days, I noticed Dad getting weaker and weaker. He started out just lying in bed all day. He had no interest in activity, and he didn’t seem to have much of an appetite. To get him up and moving around, which seemed like a good idea, I had to walk with him the 20 steps out to his living-room chair. He didn’t have the energy to button or even zip up his pants. I asked him if he was okay. “Yes” was all he said, but it wasn’t convincing. He soon became incontinent because he didn’t have the energy to get to the bathroom in time, and then not even the energy to stand up and pee in his portable urinal. He had also lost all interest in consuming fluids. By the third evening, when it was time for him to head into his bedroom, I went over to help him stand up. He was slouched in his big stuffed chair by the window, and seemed unusually extra-tired. I asked him if he wanted to be wheeled into the bedroom. He nodded, and then coughed a little. So I brought a wheelchair over to where he was sitting, and put my arm around his back and gave him my arm to lean on, but he was just dead weight. He couldn’t stand up — even with my help. I called my neighbor, Steve, and asked him to come over to help me transfer my father into his wheelchair. The two of us were able, with considerable difficulty, to move him into the chair. Mom started losing more and more of her words, but in a way she started becoming more verbal. And while some of the words didn’t fit and the sentences didn’t hold together, I could usually understand what she was trying to get across. One of my favorite things was our evening ritual. I would lie down on the bed next to Mom, help her settle in for the evening, much like you might lie down next to your child until she falls asleep. Mom would babble on for a while, until she finally lay back and shut her eyes. The other day I got a call from the Alzheimer’s facility. 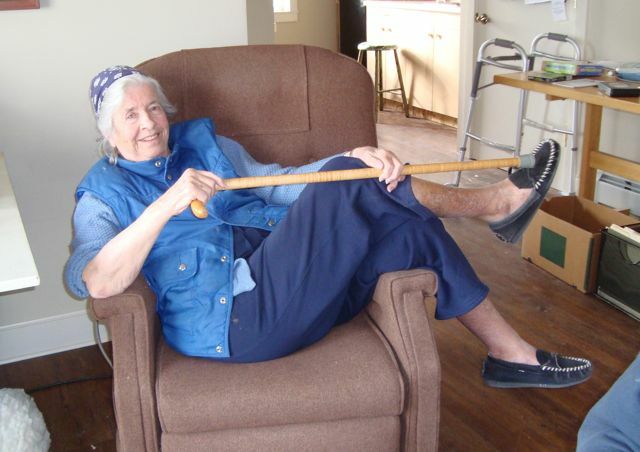 They told me that Mom was having trouble “transferring.” In nursing-home language, this generally means moving from the bed to a wheelchair or from a wheelchair to a commode. This is usually accomplished with a physical assist from an aide, or, if someone is wheelchair-bound and cannot maneuver on their own at all, hospitals and related facilities use an assistive device called a Hoyer Lift, which is a hydraulic sling. 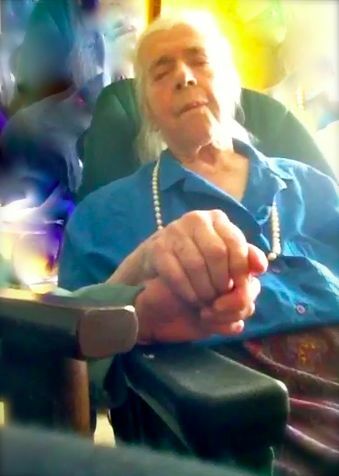 When Mom first went into the facility, she could still manage to move, with the assistance of an aide, from wheelchair to toilet, but for about six months now, she’s been at the point where she no longer knows how to stand up, even with someone helping her. So they had switched to using the Hoyer Lift. At first, it had worked like a charm. But now the Alzheimer’s facility informed me that physical therapy was going to work with Mom to see if they could help to make transferring a little easier for her. Apparently there were issues with Mom and the hydraulic device. In actuality, it was more than a year. I’m not sure how much more than a year, but that’s irrelevant. Caring for someone with Alzheimer’s is a little like living in the movie Groundhog Day. It is the same thing, over and over. There are little shifts, little realizations, little connections made, and sometimes huge acts of desperation and frustration. But every day the reset button is pushed, and you start it all over again. With my mom, the visible evidence of the reset button was her ritual response to me whenever I did something for her. “You’re wonderful!” she would say. She pushes with her feet, pulls with her arms. Her feet push at the floor. Her arms pull at the air. Pushing and pulling. She moves backwards down the hallway in her wheelchair. Her movement is like that pumping motion of a child on a swing set trying to go higher and higher and higher. Pushing and pulling. Pushing and pulling, retreating down the hallway . . . If I’m completely honest, the image that comes to mind as I watch her retreat from me backwards down the hallway is some kind of sea creature, propelling itself backwards through the water with tentacles waving. 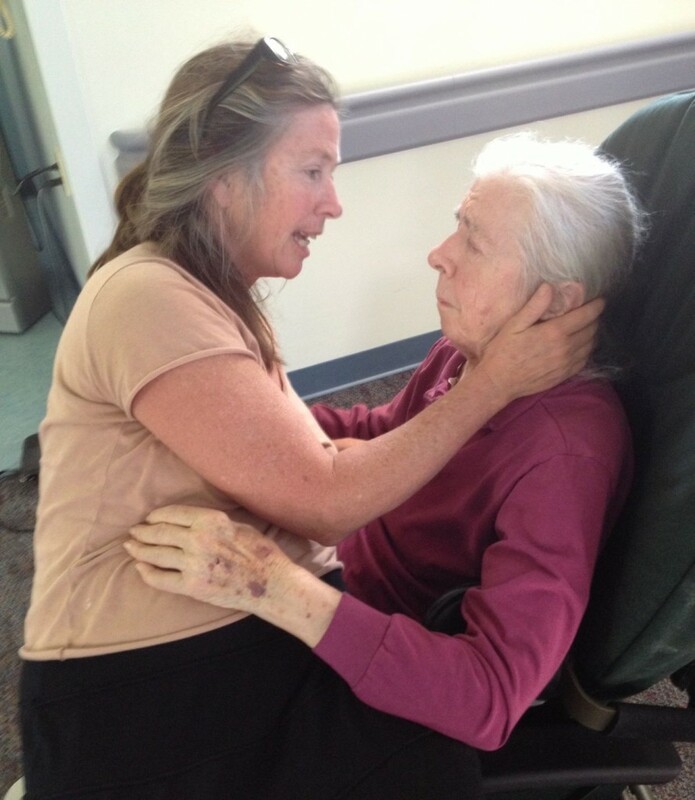 One of the things you learn about when caring for someone with Alzheimer’s is intransigence. There is a kind of inflexibility you come up against that appears in all shapes and forms, and from all sorts of unexpected directions. When someone you love is having trouble negotiating the world, you start to notice how uncompromising the rest of the world can be. My experience with adult day care was an example of this. 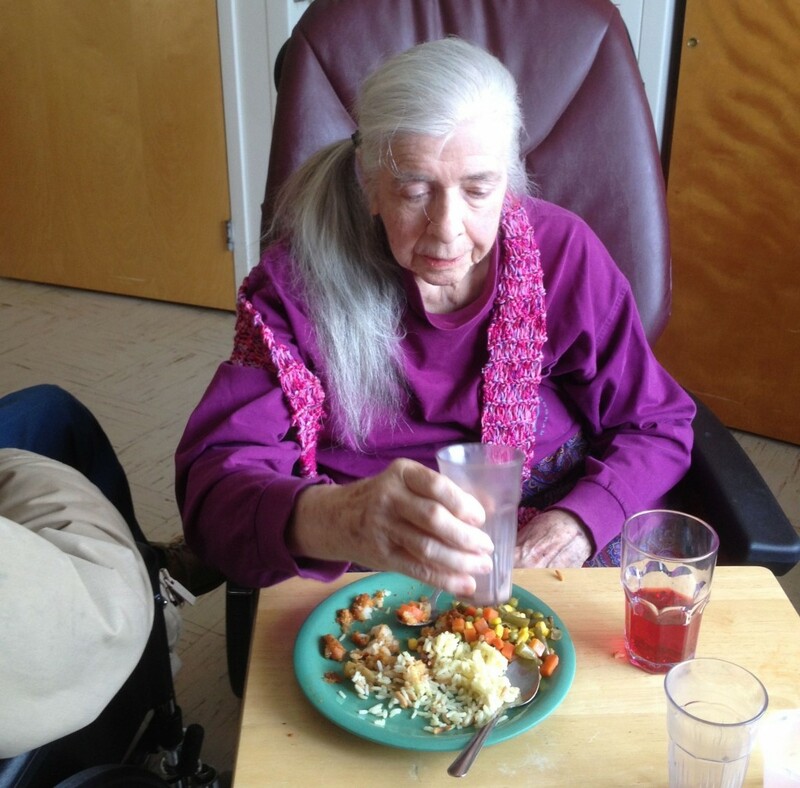 I tried for a couple of months to get Mom to go to the Alzheimer’s Adult Day Care Center, recognizing the inherent value of these programs, but ultimately it just didn’t work out. The barriers were many at our local center. Some were due to Mom’s nature and her own personal intransigence, while others were the result of what I found to be surprising inflexibility in the system. When Mom still had the capacity to attend, she was quite attached to Dad and, as always, hypersensitive about being patronized. If someone talked to her like a child, or disregarded her individuality, it didn’t take long to upset her. Conversely, if she were overstimulated by too many people clustered around her or someone talking too loudly or sitting too close, she would simply shut down and pretend to sleep. The mom I knew all my life always took a back seat to my charming and gregarious father, Arthur. Whether out in the world or at home with the family, Mom was, in my eyes, the second parent. 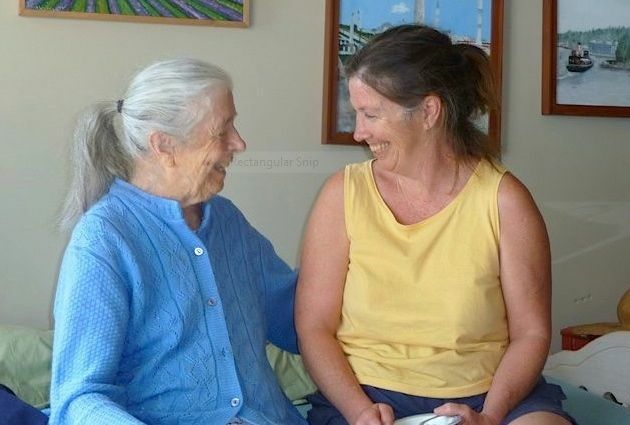 She gave me a lot of wisdom over the years, and for that I am truly grateful. She taught me to take charge of my own learning within a school setting. 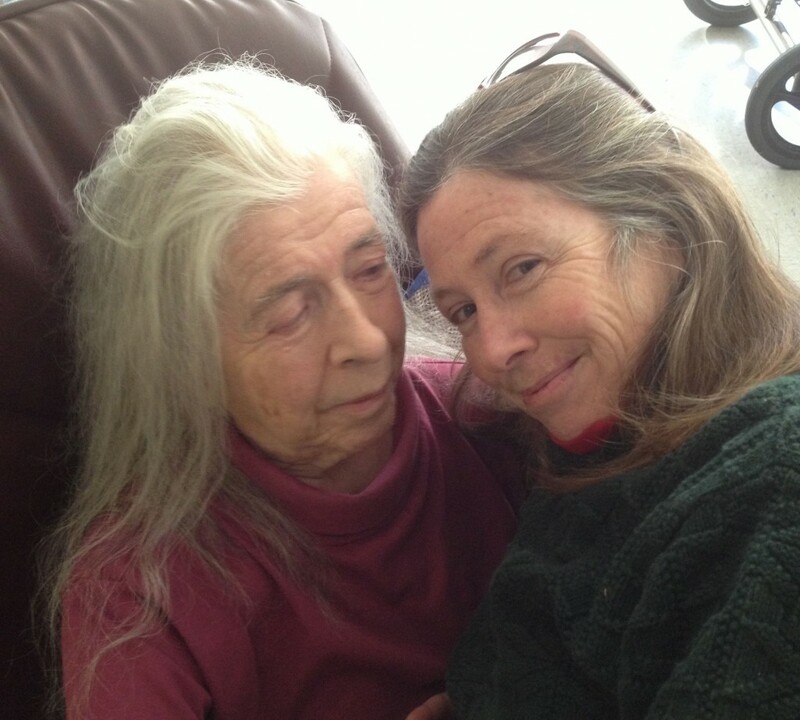 She taught me how to manage and overcome my shyness and my genetic propensity to blush at the drop of a hat. And she brought to our whole family a rich knowledge regarding her passions: music, archaeology, nutrition and holistic healing. But it was Dad who always spoke for the family. It was Dad who undertook the difficult conversations with us kids. And most of the time, when Dad was around, it was he who acted as intermediary between Mom and the rest of the world. 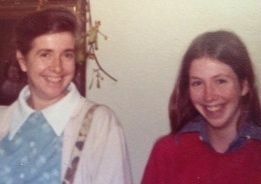 Mom loved to be around people, but she had a natural reticence that kept her interactions to a minimum. The people who became friends of the Whitman family did so primarily through Dad. When he spoke, people naturally listened. He wasn’t loud, but he was forthright. He was friendly, funny, inclusive, and had an uncommon command of history and facts. We often described Dad as being able to converse as easily with beggars as with kings — he could charm his way out of most any difficult or even dangerous situation. Dad was not only the center of the family’s attention, but often the community’s attention as well.